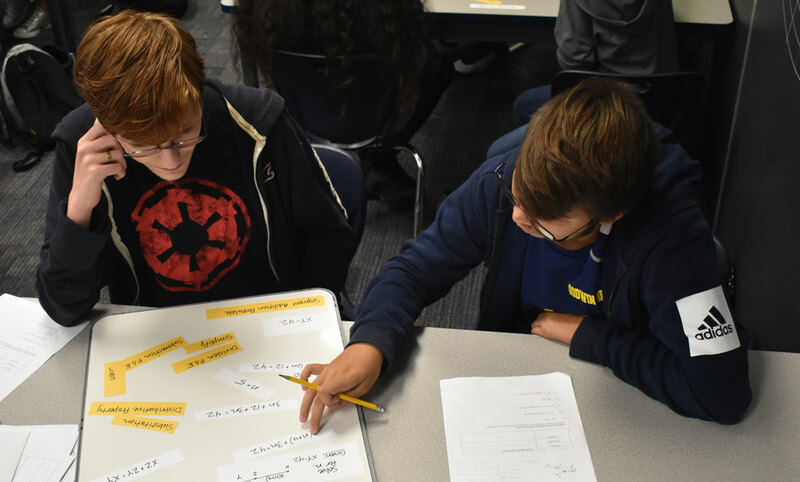 The Michigan Mathematics Educators (MichME) initiative is changing the way math is taught in West Michigan schools, one teacher and classroom at a time. After four years, the program has rewired the way math is taught by more than 250 educators and administrators. 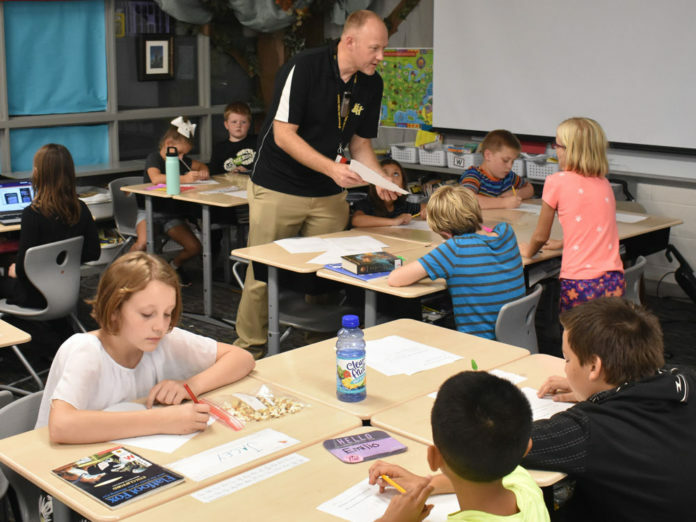 Thanks to his MichME training, teacher Nicholas VanderHyde no longer drills his fourth- graders at Alpine Elementary School on addition and multiplication tables. Instead, he gathers his pupils in a circle and starts a discussion about the different methods they’re using to solve the day’s math problems. During one recent afternoon, a story problem that required adding two large numbers (8,437 and 21,663) kicked off a discussion about the different methods they used to carry a column sum greater than 10 to the next column. “Tell the person next to you what method you used,” VanderHyde urged the pupils as they sprawled on the carpeted classroom floor. One advocated the traditional approach carrying the extra number to the top of the next column. Another carried it at the bottom of the column, while a third crossed out the number at the top of the column and increases it by one. All got the same answer. For a pupil who got a different sum, VanderHyde asked him and the other students to analyze and discuss why that method did not yield the same answer. VanderHyde is among a growing number of math teachers who have changed their teaching methods after participating in the MichME, a program based at Kent ISD that challenges traditional teaching methods. During his first 12 years as a teacher, VanderHyde said he taught math as a subject. “Now I teach to the student,” says VanderHyde, who began participating in the MichME program four years ago. Instead of focusing on the answers, VanderHyde says he now focuses on how his pupils get to the answers. 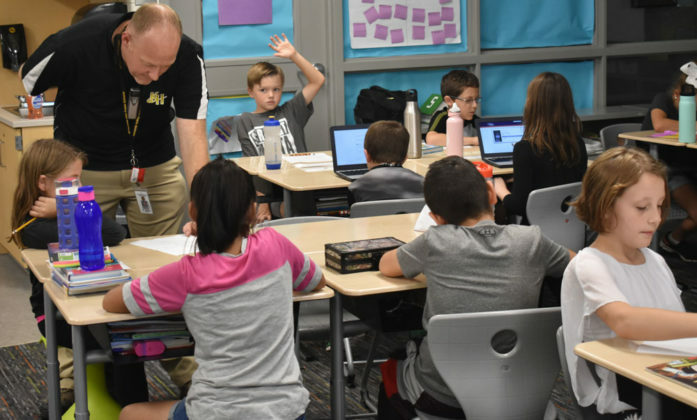 “It’s about the process, not the product,” said VanderHyde, who has recruited fellow teachers and administrators in the Kenowa Hills School District to embrace the MichME program. 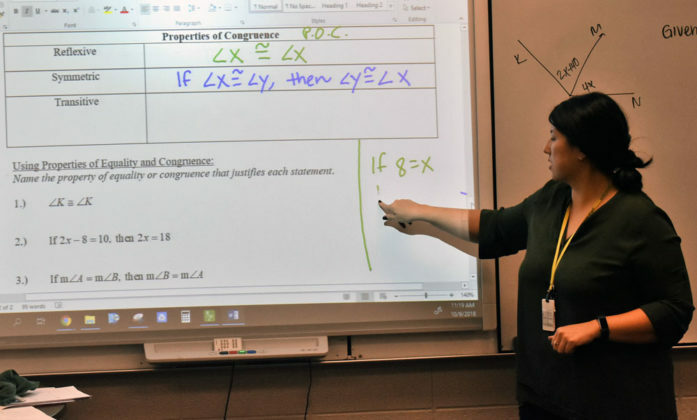 Godwin Heights High School teacher Tracy Krafft uses the same approach when she teaches her Honors Geometry class to 10th- and 11th-graders. Krafft starts the class by spelling out their goals for the day. The students are seated around tables in which they collaborate in groups of four or two. During a recent class, they discussed the properties of congruence and equality by working through problems Krafft posted on an electronic white board. 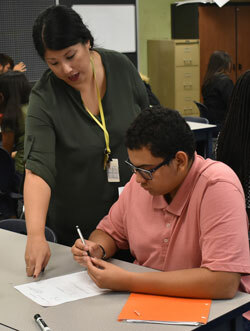 In her 10th year of teaching, Krafft said the collaborative methods she learned through MichME have changed her students approach to mathematics. Instead of memorizing formulas, they are learning how to become mathematicians and problem solvers. It may be more difficult for some students, but they learn more in the end. “I think it’s good for students to experience struggle,” said Krafft, who enrolled in MichME four years ago. Rusty Anderson, a Kent ISD educational consultant who manages the MichME with two assistants, said his four-year-old program is offered to educators from kindergarten through high school. While the participants may be teaching at different grade levels, the focus on new teaching methods is universal. “We try to think differently about teaching,” Anderson said. 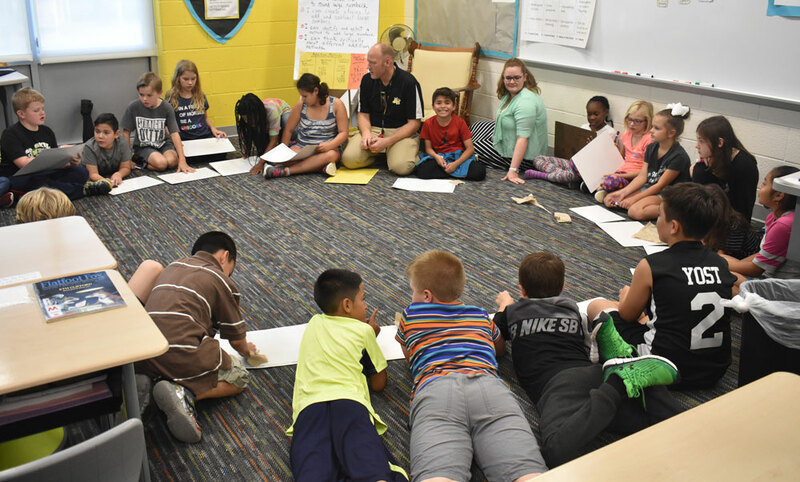 MichME challenges its participants to look at their beliefs and values as educators during five daylong sessions that are held throughout the school year in a setting away from classrooms.